Your mortgage is probably not just the biggest investment you’ll ever make. It’s probably also your biggest expense every month. The sooner you can clear your plate and live without one, the better off you’re going to be. Paying off your mortgage early can take a little extra financial discipline. But it can also save you tens of thousands of dollars over the term of the loan and free up money for family vacations and retirement. When it comes to getting a shorter-term loan than the standard 30-year mortgage, Mat Ishbia, CEO of United Wholesale Mortgage, cautions people. “If I have a 30-year mortgage but I pay it off like a 10-year, I don’t have a burdensome obligation,” he said. “But if I get a 10-year mortgage and can’t pay my note, it’s going to hurt.” He notes that there are amortization schedules that allow you to look at your 30-year mortgage as if it were a 10- or 15-year mortgage. That’s going to be a much better option for a lot of people — especially in the current loan market where interest rates on a 15-year mortgage aren’t going to be that much better that a standard 30-year mortgage. Ultimately, paying off your mortgage sooner rather than later is all about finding ways to pay down principal rather than throwing money at interest. “Just paying your note every month for 30 years isn’t the best way to do it,” says Ishbia. So the trick, if there is one, is to find a strategy that fits your family’s budget for paying down the principal faster. Ellie Kay is a family financial expert whose family paid down their mortgage early. She notes that there are a few different ways you can accomplish this goal. “The easiest way is to pay half a monthly payment biweekly,” she says. This is known as the 13th payment principle. You’re effectively spacing out the 13th monthly payment over the entire year. Kay notes that this will save you $24,000 in interest and pay off your home four years faster on a 30-year mortgage of a $220,000 home. One variation of this is figuring out how to make four house payments every quarter, or 16 monthly payments spread out over the course of a year. That’s going to pay off a hypothetical $220,000 house 11 years early and save you $65,000. Kay notes that the 13th payment principle has some advantages over refinancing into a 15-year mortgage. “You don’t have to pay refi fees and you’re not stuck with an extra high payment,” she says. 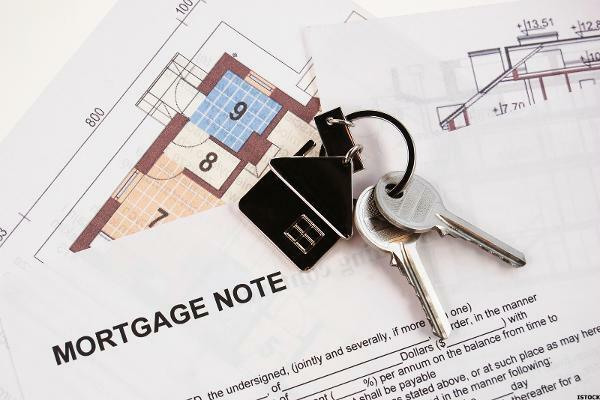 However, Kay quickly points out that the 15-year mortgage is a better option for people who have trouble keeping themselves from spending whatever extra money they have. “For born spenders, it might be better to get the shorter term mortgage,” she says. Ishbia says that another way to get your money paying off your mortgage rather than the bank interest is found money. For example, if your interest rate goes down and you start saving money, you can just keep paying your mortgage like you already were. “Anything above your interest payment goes toward your principal,” Ishbia says. He notes that some people pay their mortgage several months in advance when they could be putting that money toward their principal. But basically any time you come into a windfall or save money, that’s money you can be using to pay your principal down.